How secure is a wireless solution? It is easier potentially, to unobtrusively monitor and hack a wireless network than a wired one. For deterministic high performance solutions such as lighting controls, either it requires very expensive point to point wireless solutions or its low-cost wired. 6. What does IoT really mean in building & lighting controls and how secure? Is your chosen IP device secure? How is its security maintained over time? 7. Analytics; what is it, what could it deliver, what might it not deliver? It’s the clever maths that mines for nuggets of gold from device level value data and represents opportunities to more efficiently run a space for a given business outcome than your competitor. It allows you to calculate which exact device level settings create the optimum space environment for your workers, so they are both healthier and operate more efficiently. The problem is, do your analytics tools have seamless access to all the device level value data? 8. "Cloud" based solutions, whose "Cloud" is it, who owns the data/IP in the "Cloud", can I change from "Cloud" to "Cloud", how secure is it? All very good questions and not usually the one the End Client is fully aware of, until it’s too late! There are NO standards-based "Cloud" solutions. Each solution provider is offering their own version of their "Cloud". Unlikely to be able to switch from one "Cloud" based solution provider to another seamlessly, without loss of content. IP/Copyright ownership again depends who owns the facilities, the nature of the contract terms offered and where on the planet the facilities are. One thing is for sure, most people have no idea regarding the answers to these questions. They incorrectly assume too much and don’t realise that it is a legal minefield. Security most likely depends on who actually owns the equipment and facilities and where they are based on the planet. It will pay to be very cautious. Suggested reading: "Cracks in the Cloud". 8 Things to know before purchasing your next Smart IoT Lighting Solution, Part 2. 5. Is it wireless versus wired, wireless & wired? 8. “Cloud” based solutions, whose “Cloud” is it, who owns the data/IP in the “Cloud”, can I change from “Cloud” to “Cloud”, how secure is it? There are NO standards-based “Cloud” solutions. Each solution provider is offering their own version of their “Cloud”. Unlikely to be able to switch from one “Cloud” based solution provider to another seamlessly, without loss of content. Suggested reading: “Cracks in the Cloud“. 8 Things to know before purchasing your next Smart IoT Lighting Solution, Part 1. 1. Convergence; what is it really good for and its market-disruptive impact? Enables choice of who delivers, who operates & maintains and with what. Buiding Services Research & Information Association (BSRIA) “Convergence – What is it good for?” presentation enumerates the benefits, read more click here. 2. End Client requirements; what are they really looking for and why? 3. 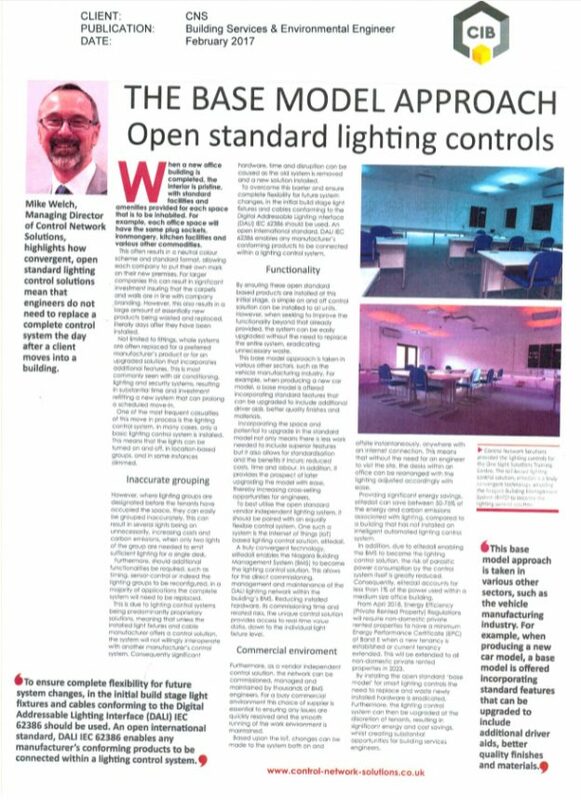 The role of international open interoperable standards in smart building & lighting control? Increase choice of solutions and delivery channels. Therefore it delivers best of breed! Is every international and published communications standard offering intelligent device level interoperability? NO! For electrical load shedding, smart IoT lighting control is the best option at enabling this, with minimum impact on space output or the people operating within that space.